This is our coverage of Wigan. Wigan, historically in Lancashire, was a Borough in the 13th century and was made a County Borough in 1889; it annexed Pemberton Urban District in 1904. 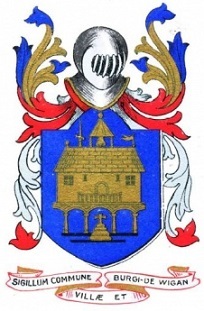 Leigh became a County Borough in 1899. The current Wigan Metropolitan Borough was created in 1974 with the amalgamation of Leigh County Borough, Wigan County Borough, Abram Urban District, Aspull Urban District, Atherton Urban District, Hindley Urban District, Ince-in-Makerfield Urban District, Orrell Urban District, Standish Urban District, together with parts of Ashton-in-Makerfield, Billinge & Winstanley, and Golborne Urban Districts, and some parishes from Wigan Rural District. At the same time it became part of the new Greater Manchester Metropolitan County. It is now a unitary authority. 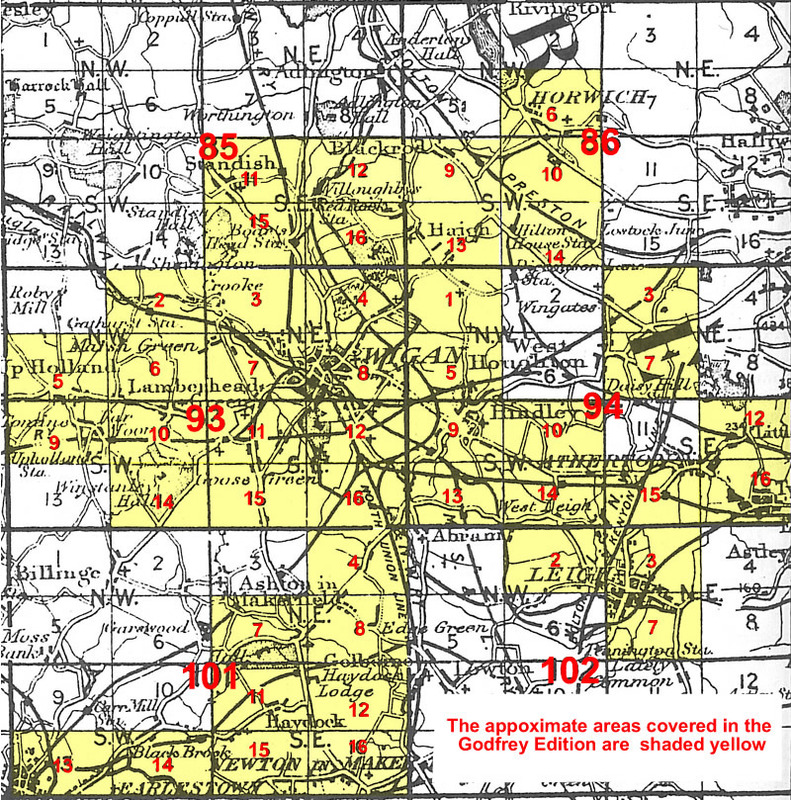 You might find this original Ordnance Survey Index map useful as an approximate guide to coverage. 84 South Lancashire Coalfield 1907 - published 1999; Introduction by Alan Crosby.